'Extreme' weather conditions in key European regions have been blamed for the slump. The world could be facing a wine shortage after 2017 global wine production dropped to an "historic" low. "Extreme" weather conditions - including frost and drought - in key European wine-producing regions have been blamed for the slump. 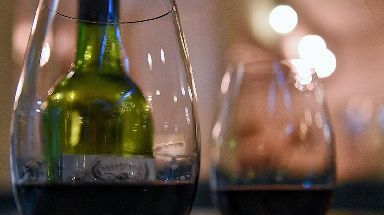 The wine producers' body, the International Organisation of Vine and Wines said worldwide production of wine fell by 8.2% in 2017. Italy remained the biggest global producers of wine despite a 23% fall in production this year. France, the world's second biggest producers of wine, saw a drop of 19% while Spain's wine production was 15% down on 2016. It was not all gloom across Europe. Portugal, Romania, Hungary and Austria recorded a rise compared with 2016. But the body warned the prospective figures did not take into account any potential consequences of the fires that ravaged California, a key wine-growing area. The grape harvest was also more successful in South America, with Argentina recording a rise in production for 2017 after a terrible 2016 harvest. Australia and South Africa also saw an increase. The body said they do not as yet have definitive figures on wine consumption, but is estimated to be within the range of 240.5 to 245.8 mhl. Wine production is measure by hectolitre, with each one the equivalent to 133 standard wine bottles.